Let’s Talk About the U.S. Senate Race! 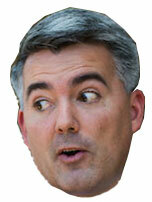 Colorado Sen. Cory Gardner (R-Yuma) is among the most endangered Republican incumbents in the country. We know this because hardly a week goes by without some news outlet mentioning his vulnerability in 2020. While the 2020 election is still 607 days away (as of today), we’re less than a year out from the party caucuses in Colorado, which means the clock is ticking as potential candidates jockey for position in 2019. Gardner officially kicked off his Senate re-election campaign last month with a high-dollar fundraiser in Washington D.C., but he has yet to announce any sort of campaign launch in Colorado. We’re still not convinced that Gardner will ultimately be on the ballot in November 2020; sharing a slate with Donald Trump is going to be rough for any Republican, particularly in a state like Colorado where Democrats ran roughshod over Republicans in 2018. Gardner is not the kind of politician who joins a fight he isn’t confident about winning, and his polling numbers have been in the toilet for several years now. His increasingly-close embrace of Trump – Gardner was one of the first big Republican names to endorse Trump’s re-election — won’t help him in a state carried by Hillary Clintonin 2016. His strange waffling on Trump’s “emergency declaration” for border wall money suggests that he’s also worried about a potential Republican Primary.